The creation of complex overall documents on a basis of PDF requires without corresponding tools a multitude of manual single steps and software components. 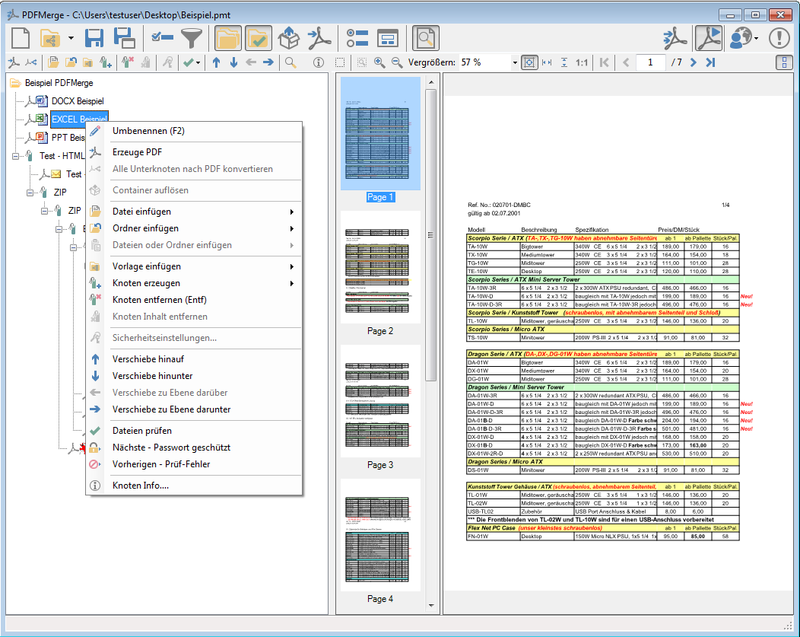 PDFMerge combines any required steps and components in a single integrated application and creates – based on an automated PDF conversion of the source documents at the push of a button – a document equipped with many additional functions. 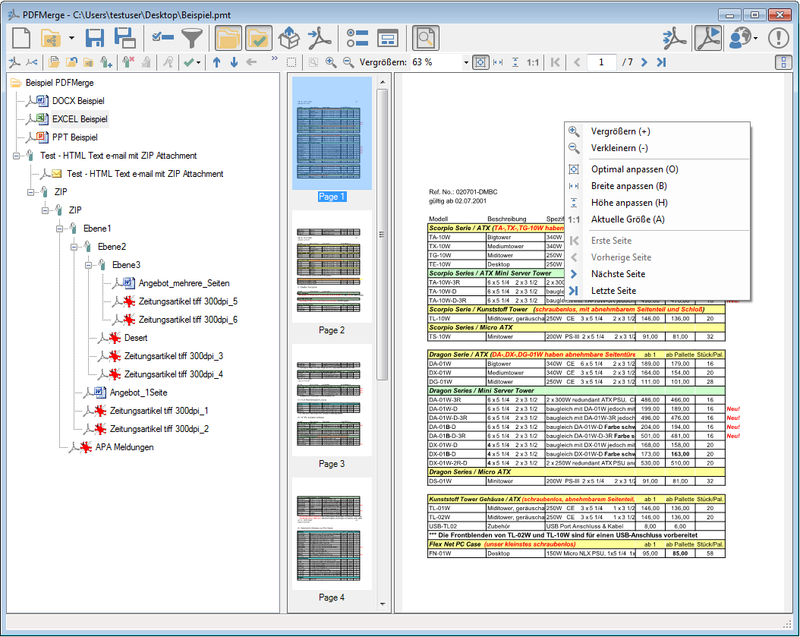 Drafts / templates – are used for the structuring of documents and quick actualization. They can be produced interactive, used again and can be produced as XML from an own application also. 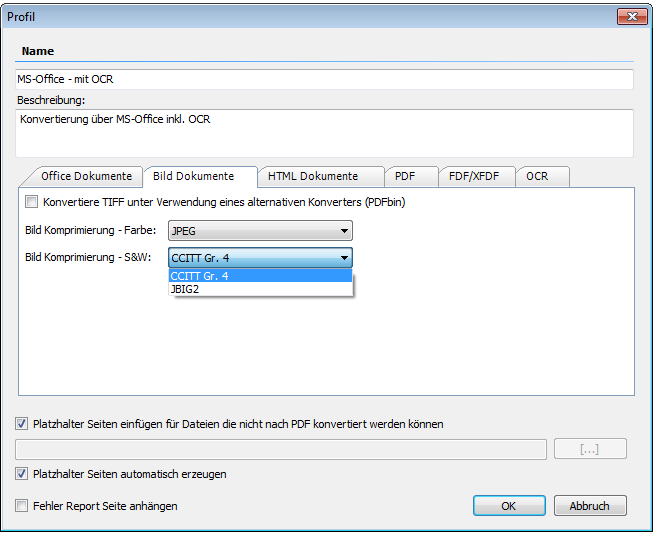 2 formats are available – the PMT as pure XML format as well as the PMTX which also embeds the source documents and therefor doesn’t need any external references on the documents. 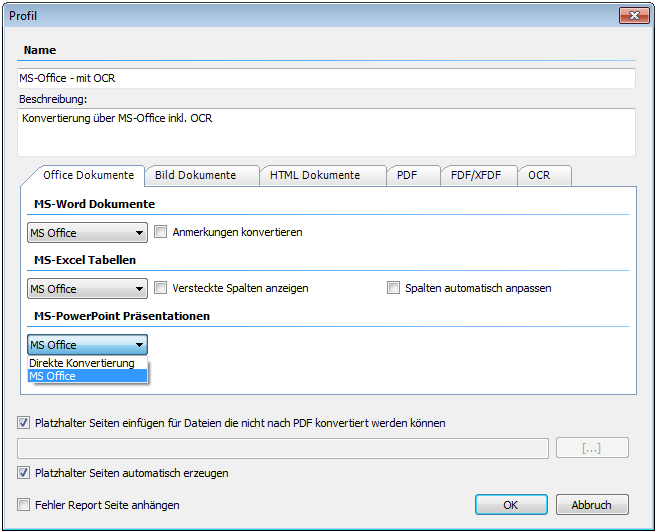 Automatic PDF or PDF/A conversion – any important file format – MS-Office, Image, E-Mail, HTML and so on get automatically converted to PDF or PDF/A. 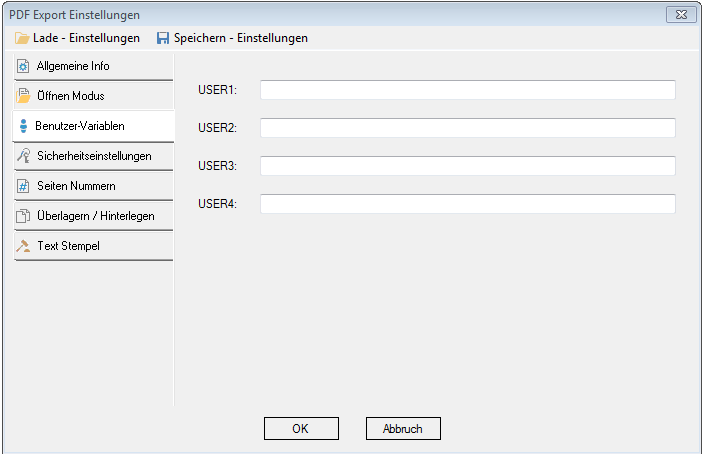 On default no additional components or MS-Office are required. The conversion is done directly without any additional applications or printer drivers. 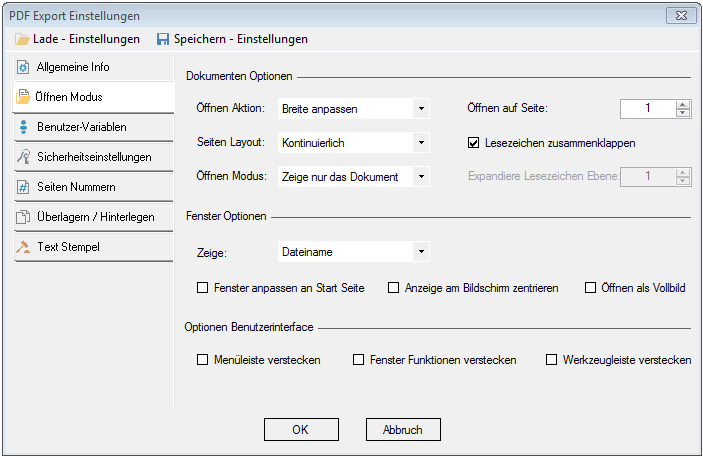 Optional also, if available, MS-Office 2010 / 2013 can be used for the conversion. 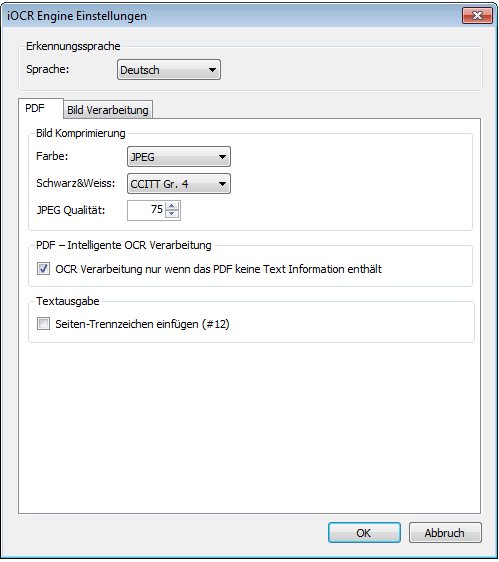 Image and PDF documents can be made searchable via the integrated iOCR engine. 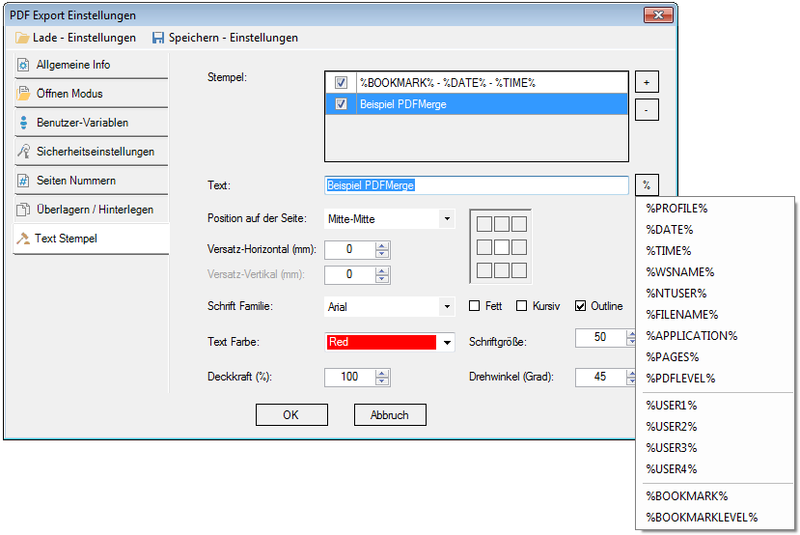 Optional also the Abbyy OCR engine is available. 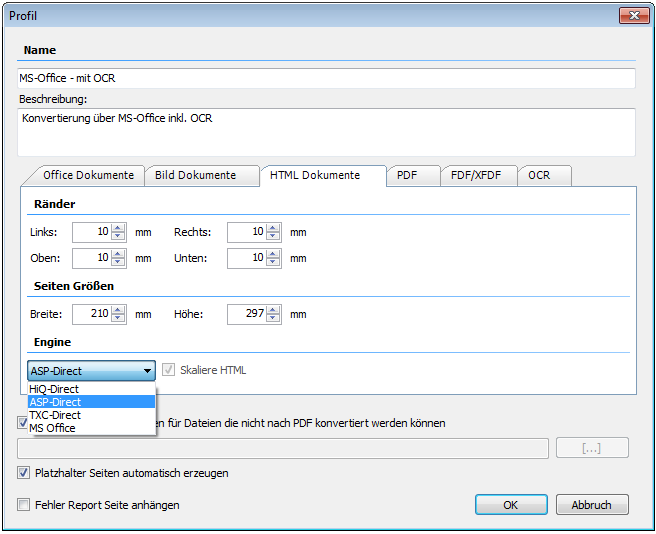 Document preview and miniature views: the single documents can be converted to PDF immediatly after the insertion and are therefor viewable via the integrated PDF / Imageviewer. Processing of container formats: container formats like ZIP, 7ZIP, RAR as well as the e-mail formats MSG and EML can not only contain one document but also a multitude of subdocuments and with ZIP, 7ZIP, and RAR they can also have an own folder structure. E-Mails can contain one or more attachements which can be container files themselves. Container formats can therefor be interlaced in any depth. PDFMerge is able to dissolve these structures automatically, convert the contained files and display this structure correctly again via PDF Bookmarks. With that the original order and structure is displayed and preserved. Read in of existing folder structures from the file system: existing folder structures can be read in from the file system or be implemented via drag & drop. The names and structures get taken over and can be edited afterwards. 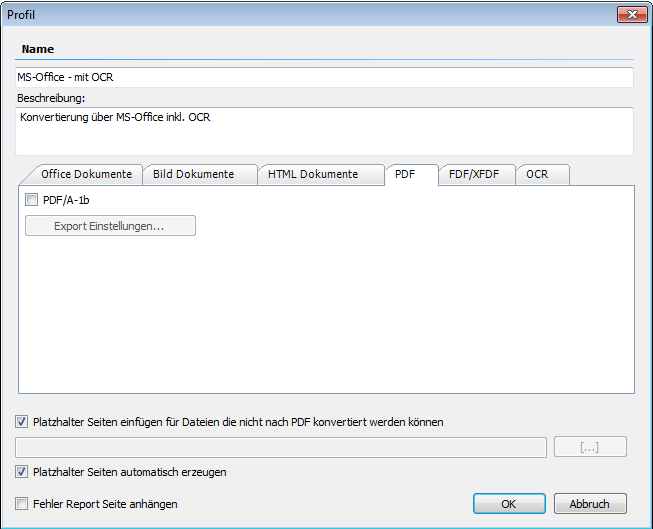 PDF-export parameter – allow to use a multitude of funtions on the created PDF overall document automatically – fill PDF meta data information, parameters for opening the document, PDF-password, PDF-function restriction, pagination, PDF stationery overlay or underlay, apply text stamps. Intended functions for the future: index and front page. The settings can be saved combined and used again. Command line call / silent processing: the PMT /PMTX template files can be loaded via commandline parameter. With that the processing can also be run “silent” without user interface. PMTX – SOAP / REST – webservice processing: The PMTX files created with PDFMerge can also be processed with the FileConverterPro. The FileConverterPro is a central converter service installable as Windows-service, which is called via a SOAP / REST interface. 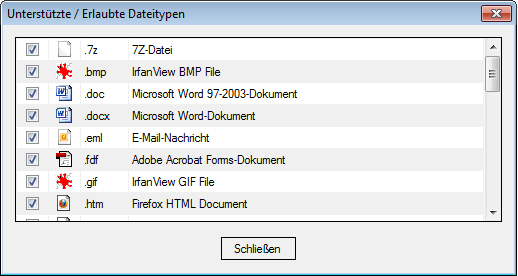 Filter at the insertion from the file system: filter can be defined (with * and ?) 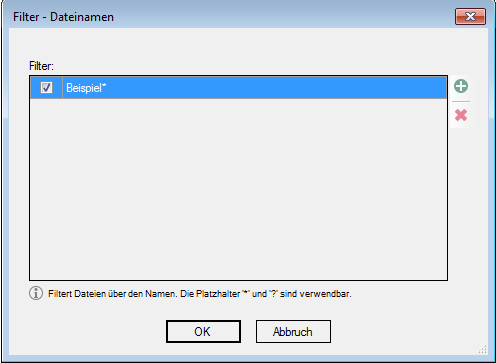 to automatically exclude and don’t read in specific names and extensions at the insertion from the file system. 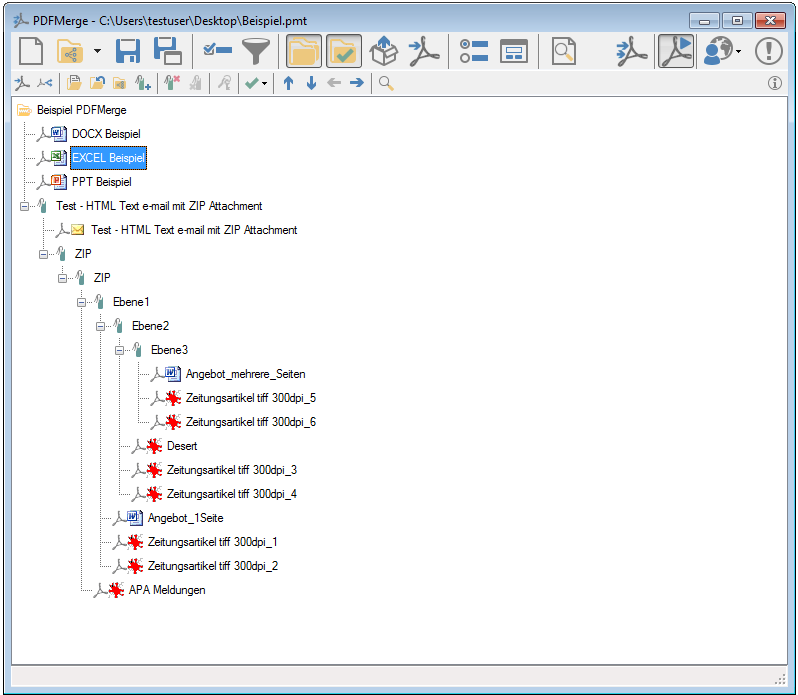 Search in the available structure: document names, paths and extensions can be searched in the tree structure and afterwards deleted from it targeted via the search result list. 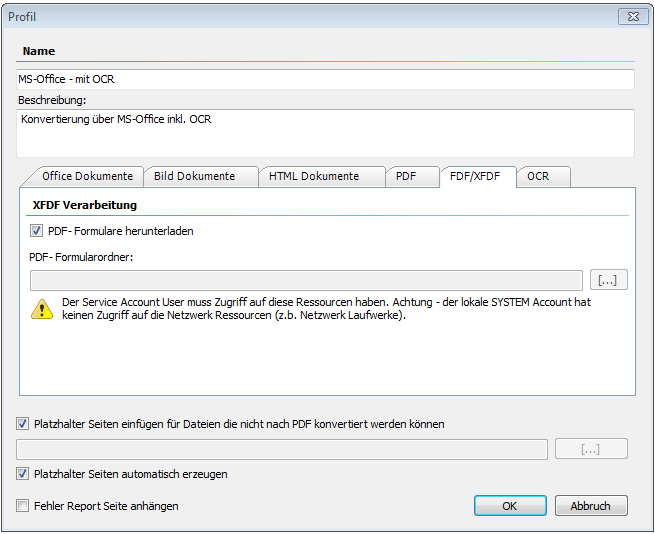 Processing protected PDF’s: password protected PDF documents are not processable without the “open password” – These files can therefor be searched and found directly. 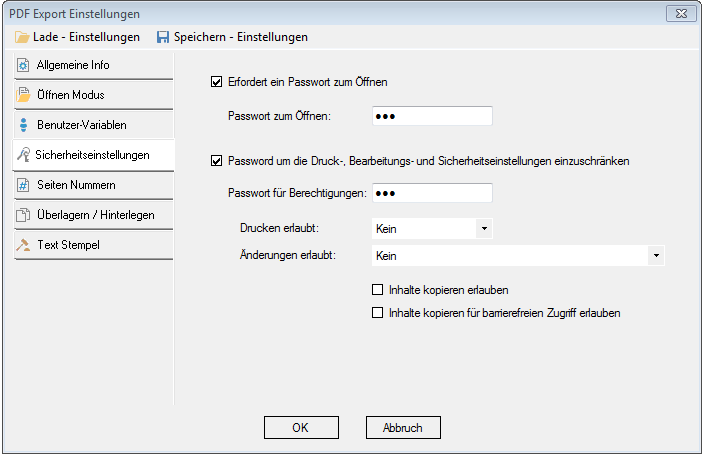 The once captured password gets saved encrypted and doesn’t have to be inserted again afterwards. With that also protected PDF files can be processed. Insert placeholder pages: if a file can’t be converted – e.g. because of a defective file or a container file e.g. an e-mail contains an attachement with a not supported file format – a preedited or an automatically generated placeholder page can be inserted. 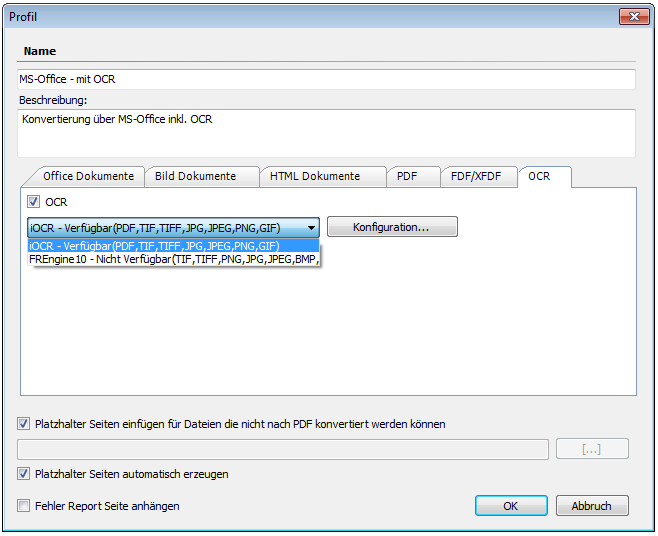 PDFMerge – which functions are implemented? Combine documents from different sources, which are created and edited from various authors / teams or departments. Long-term archiving of documents, projects and records – PDF and PDF/A enable the independence from source applications and formats. 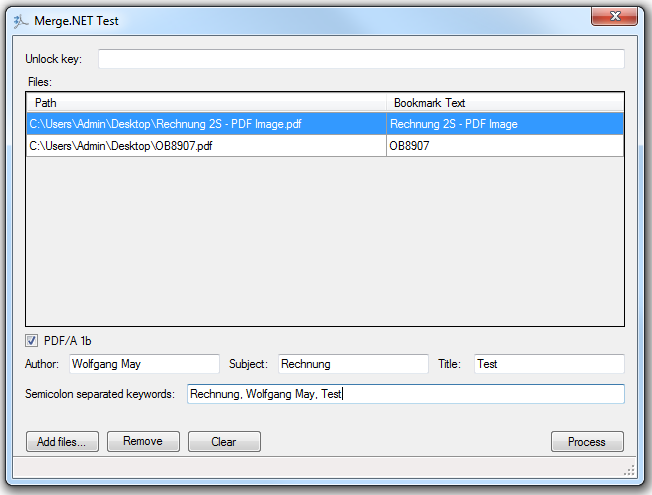 Full text search, display and printing are therefor also possible without the original application. 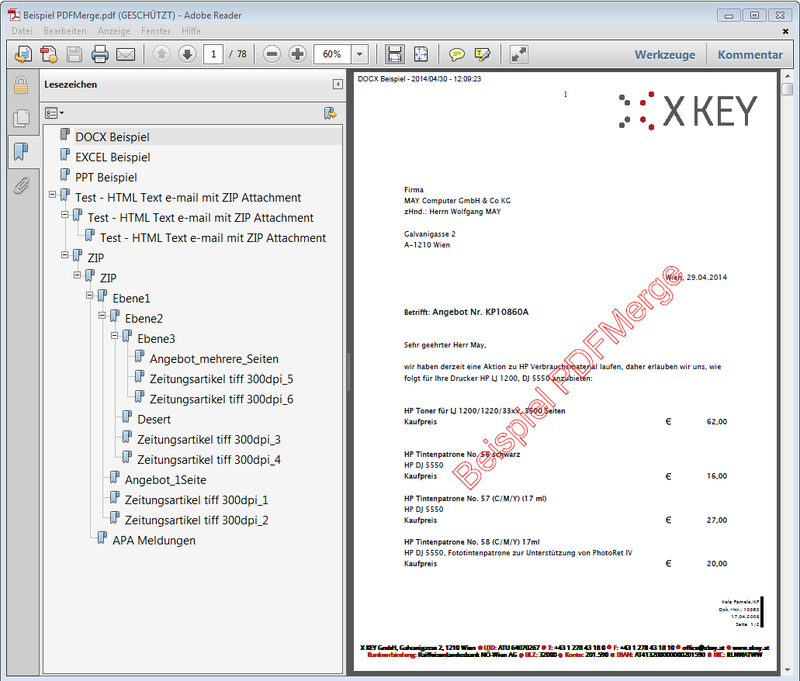 The original documents themselves can be embedded in the PDF document as PDF attachements. 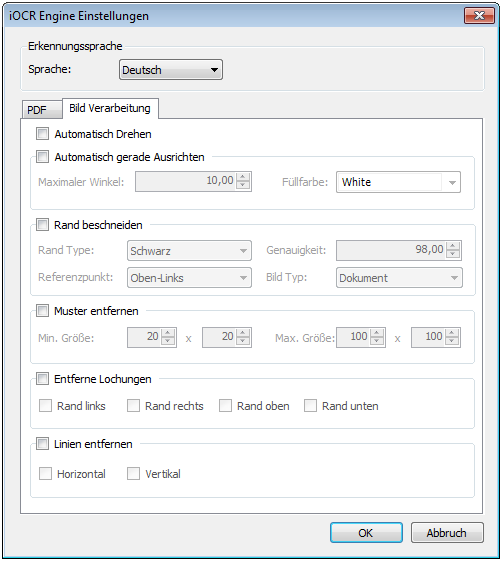 With PDF/A-3 there is even an ISO standardized format available.